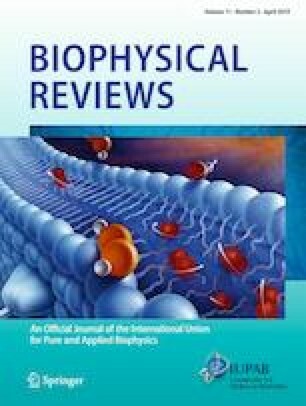 It is with a mix of pride, history, relief, and sadness for me that I announce this will be my last issue of Biophysical Reviews as Editor. I am proud of the way the journal has developed over the past five years. It was in 2014 when I was appointed Editor following the retirement of the foundation editor, Professor Jean Garnier. An immediate problem was that in 2014, the journal did not publish the scheduled four issues. This endangered the ability of the journal to obtain an impact factor, a feature that many potential contributors feel is important when choosing a journal. Clearly, a new approach was required. Historically (2012 to 2014), the journal turned its attention to publishing one Special Issue each year. Each of them doubled or trebled the average number of articles. By the end of 2014 when I was appointed, I had decided to place increasing emphasis on them. During 2015–2017, the journal devoted two or three of its four issues to Special Issues. Their themes varied between highly focused topics, e.g., 20 articles on DNA Supercoiling in 2016 (Finzi and Olson 2016) and 21 articles on Heart Failure Due to Non-Myofibrillar Defects in 2018 (Gehmlich and Ehler 2018), to broad topics such as the 56 articles on Multiscale structural biology: Biophysical principles and mechanisms underlying the action of bio-nanomachines. Biophys Rev Biomolecules to Bio-Nanomachines, a Tribute to Professor Fumio Arisaka in 2018 (Hall et al. 2018); and the 26 articles on Ionic Liquids and Biomolecules Benedetto and Galla 2018). Today the journal has published a total of 16 Special Issues containing 300 articles. This increase meant the journal could, by 2018, publish six issues a year. Clearly, the Special Issue strategy worked but I hasten to acknowledge that it was achieved with the huge support of the journal’s Senior Editors and Special Editors. Few readers will appreciate that, from the very beginning of the journal in 2009, the copyright of the journal was equally owned by the International Union for Pure & Applied Biophysics (the IUPAB’s permanent address is in the ICSU Headquarters in Paris, France) and Springer Verlag GmbH (Tiergartenstrasse 17, Heidelberg, Germany). The contract was negotiated by the then-President, Professor I.C.P. Smith. I think it has been a good partnership. The journal derives its income based on payments determined by the number of articles published each year. It has increased its content from roughly 20 articles in four issues a year, to its income in 2018 based on about 95 articles published in six issues. Unlike most journals, one of the missions of IUPAB (and therefore the journal) is to assist the development of biophysics in developing countries. Therefore, Biophysical Reviews has taken care and pride in assisting authors from these countries to publish worthy articles. I personally have assisted by lengthy and substantial editing of some of these submissions from non-mainstream countries. The incoming Editor, Dr. Damien Hall, has done the same. The sadness I feel comes out of the death of Michèle Auger. From the beginning, I decided to change the composition of the Editorial Board so that there was approximately equal numbers of men and women. That aspiration has now been achieved. Not long after I became Editor, I invited Michèle to join the Board. Ian Smith was her mentor, so the appointment was simple. I asked her to consider writing a review for this journal which she promptly did. On many occasions, she agreed to act as an internal reviewer, and did so very promptly. She was not a do-nothing type of person, so it was terrible news when she first told me of her breast cancer. For a while, there was hope that the chemotherapy would do its magic. I recall writing to her, telling her to keep her outlook positive because I believe that it has a mysterious but apparently effective influence on one’s immune system. But then on October 29 last year, she lost the fight. She was far too young. It is a great loss for her family, and she will be sorely missed by me, and indeed the whole Editorial Board. On behalf of the journal, I send the sincere condolences of the Editorial Board to her family. NB: An excellent Obituary was published in issue 70 of the IUPAB Newsletter, available online.